Born: 3 September 1856, Liverpool, England. Died: 14 June 1924, Wallingford, England. Edgar P. Rathbone was the son of Philip H. Rathbone, a merchant of Liverpool. He was articled to a mining engineer and afterwards studied at University College, London, the Royal School of Mines, London, the mining academy at Freiberg, Sachsen, Germany, and the University of Liege, Belgium. In 1882 he entered a partnership with E. Bainbridge and G. Seymor. He and members of his firm participated in founding the Institution of Mining and Metallurgy, of which he was a member for many years. On behalf of the partnership he travelled to the United States to inspect particularly the copper mines at Lake Superior. This visit resulted in a paper, "On copper mining in the Lake Superior District", delivered before the Institution of Mechanical Engineers, London, in February 1887 and published in its Minutes of Proceedings. He also visited Mexico, Bolivia, Brazil and Argentina and became involved in mining operations in these countries, as well as, eventually, in Canada and several European mining districts. He was a member of the Institution of Civil Engineers and of the Institution of Mechanical Engineers. 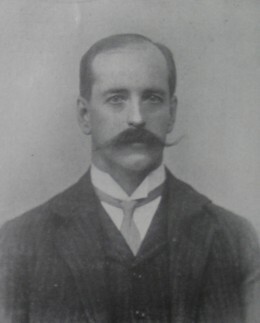 Rathbone came to the Witwatersrand in 1889. Initially he had an interest in the coal mining industry of the Transvaal, for an unpublished manuscript by him on this subject, dated 1889, forms part of the T.R. Jones* collection of papers and manuscripts on South African geology. However, he took up the position of manager of the Salisbury Gold Mine with Berwick Moreing and Company for a short time and then started in private practice as a mining engineer. In January 1890 he founded the monthly Witwatersrand Mining and Metallurgical Review, the first technical journal on the Witwatersrand. He was its managing editor to September 1891, when it was incorporated into the South African Mining Journal. Among others the journal published useful accounts of the geology of the De Kaap goldfields and the Witwatersrand, by C.J. Alford*, and "Suggestions for the improvement of mining and milling" by Rathbone himself. In 1892 he married Anna B. Georges, with whom he had at least one son. That same year he became a foundation member of the South African Association of Engineers and Architects, serving on its first council and as honorary secretary (1892-1893) and honorary treasurer (1892-1895). An early paper that he read before the association in July 1892 dealt with the standardisation of weights and measures on the mines, particularly the confusion caused by the use of both the so-called long and short tons, and in December 1892 he introduced for discussion the subject of developing and equipping deep-level mines. Neither of these contributions was published. However, another of his early papers, "Study of ore deposits in relation to the occurrence of auriferous pyrites in the conglomerates of the Witwatersrand" (February 1894), appeared in the association's Proceedings (Vol. 1, pp. 89-101). He was one of the early advocates of deep-level mining on the Witwatersrand, and of the use of self-dumping skips. In 1893 Rathbone was appointed inspector of mines by the government of the South African Republic and in that year helped to write mining regulations aimed, among others, at reducing the very high accident rate on the Witwatersrand. He held this position to 1896, when he had to return to England as a result of his perceived support for the Jameson Raid, a failed attempt to overthrow the government of the republic. During the subsequent Anglo-Boer War (1899-1902) he visited Canada on mining business and was a special mining correspondent for The Times of London. Returning to South Africa early in 1902 Rathbone worked as a private mining consultant and was still listed as a mining and consulting engineer, Johannesburg, in 1911. In 1903 he was elected a member of the Chemical, Metallurgical and Mining Society of South Africa. He became an early member of the South African Association for the Advancement of Science and during the association's second annual congress, held in Johannesburg in 1904, served on the committee for Section B (which included geology). In May 1903 he read a paper on "Geology of the De Kaap goldfields" before the Geological Society of South Africa, which was published in its Transactions (Vol. 6, pp. 3-8). Another of his papers dealt with "The occurrence of the rarer minerals in South Africa" and appeared in the Transactions of the Institution of Mining and Metallurgy in 1904. A few years later he described "A visit to the De Beers Consolidated Diamond Mines" in the same journal (1907). In June 1905, in a report to the Coronation Syndicate, he envisaged the establishment of an oil distillation industry near Uitenhage after finding an oil-bearing stratum there. Soon thereafter he reported to the same syndicate on oil prospects in the north-western Karoo, which also looked promising. Rathbone was a foundation memberd of the Mine Managers' Association (Transvaal), an associate member of the Witwatersrand Chamber of Mines, and president of the St John's Ambulance association. During World War I (1914-1918) he worked as an inspector of aeroplanes for the British government. In 1920 he was appointed representative of the Foreign Office in Upper Silesia, to help carry out those terms of the treaty of Versailles relating to that territory and Poland. Draper, D. Catalogue of the "Rupert Jones" collection of papers and manuscripts. Transactions of the Geological Society of South Africa, 1898, Vol. 4, pp. 77-86. Draper, J.R. The engineer's contribution. A history of the South African Institution of Mechanical Engineers, 1892-1967 (pp. 2, 5). Johannesburg: SAIME, 1967. Geological Society of South Africa. Transactions, 1903, Vol. 6, paper by Rathbone. South African Association of Engineers and Architects. Proceedings, 1892-1894, Vol. 1 and 1897-1898, Vol. 4. Staats-Almanak der Zuid-Afrikaansche Republiek, 1896 (p. 170). Pretoria: Staatsdrukkerij, 1895. Witwatersrand Mining and Metallurgical Review, January-April 1890, Vol. 1, No. 1-4.